Lucasfilm Publishing’s Michael Siglain and Entertainment Weekly have teamed up to bring us our first look at the publishing tie-ins for Solo: A Star Wars Story. Included are novels, in-universe guides, comics, children’s books, behind-the-scenes guides, and more. Hope you’re caught up with The Last Jedi by now! It’s not only a great time to be a Star Wars fan, it’s also an exciting time to be a reader! The author of Half-Resurrection Blues and Shadowshaper has penned this novel that connects three eras in the lives of Han Solo and Lando Calrissian. “Part of it takes place before the events of Solo and focuses on Lando and L3-37,” Siglain says, referring to Lando’s droid sidekick in the new film. “Part of it takes place between Solo and A New Hope, and that focuses on Han and Chewie, and that’s where we get Sana Starros for the first time.” She would be the character, first introduced in the Marvel Comics, who claimed to be married to Han. 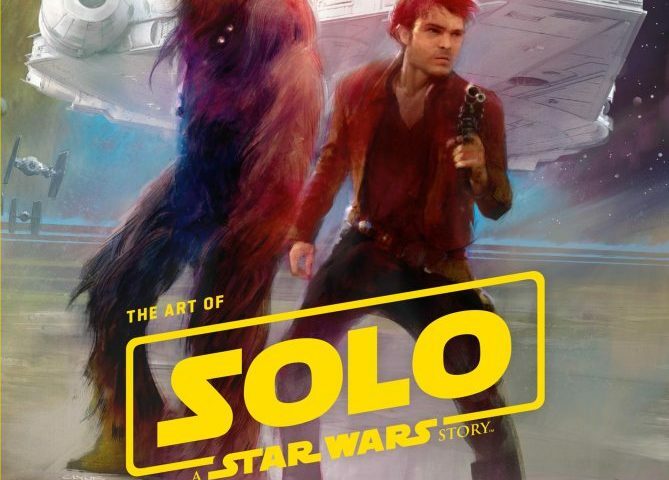 This non-fiction title by Mark Salisbury is aimed at young readers and “strives to teach some of the history of filmmaking, makeup, and special effects through all the films, starting with 1977’s A New Hope and going up through Solo,” Siglain says. This is part of an onging IDW comic book series, and the first of the three-part young Solo storyline by writer Cavan Scott will be released as part of Free Comic Book Day. The heroes are targeted by bounty hunters familiar to fans of The Empire Strikes Back — Zuckuss and 4-LOM. Somewhat self-explanatory, this book will explore some of the images and storylines of the movie. You can see the entire listing over at EW.com. Images belong to Disney and Lucasfilm via Entertainment Weekly. Previous article Star Wars Rebels Talking Points: "Jedi Night" and "Dume"